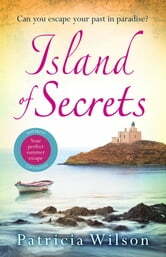 If you love Cartes Postales from Greece by Victoria Hislop and The Villa in Italy by Elizabeth Edmondson, you will love this perfect summer read. All her life, London-born Angelika has been intrigued by her mother's secret past. Now planning her wedding, she feels she must visit the remote Crete village her mother grew up in. Angie's estranged elderly grandmother, Maria, is dying. She welcomes Angie with open arms - it's time to unburden herself, and tell the story she'll otherwise take to her grave. It's the story of the Nazi occupation of Crete during the Second World War, of horror, of courage and of the lengths to which a mother will go to protect her children. And it's the story of bitter secrets that broke a family apart, and of three enchanting women who come together to heal wounds that have damaged two generations. Ready for your next incredible read from Patricia Wilson? Villa of Secrets is available now. Search 9781785764387. It's been a long time since a books has shocked me and brought treats to my eyes. A great human read. A story full of humour, sadness, horror and twists and turns. It keeps you interested all the way to the end. A wonderful read.